Black Krim tomato seeds @ 99p. - Buy today online. Black Krim has excellent flavour. An easy to grow, medium sized beefsteak variety from the Black Sea, Russia. The colour of the skin darkens when tomatoes mature, but seeds are not purple. A well known variety in many English gardens and getting more popular every year, easy to grow outdoors and the plants need a bit less care than other varieties. 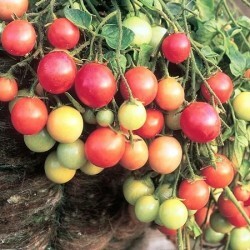 A must have heirloom variety if you want to feed your family with flavoursome veggies. Sow the black krim tomato about 1 cm deep into a shallow tray, suitable for the small tomatoes and place the tomato seeds at 20-30 Celsius, as tomatoes love heat, on a windowsill, heated greenhouse or propagator. Sow tomatoes between late February and late April. If you don't have a heated propagator, placing the tomato seed tray or pots into a plastic bag helps the seedlings to emerge faster. Tomato seeds takes normally 8-11 days to germinte, sometimes longer if the growing conditions are poor. As soon as the black krim tomato seedlings are large enough to handle, prick out. Transplant the seedlings into individual small pots, later on they might need to be repotted if growing quickly and large.Make sure the leaves do not overlap. Temperatures during this stage should be 12-20 Celsius. Plant outside mid-May-June 80x60 cm, or keep in the greenhouse. 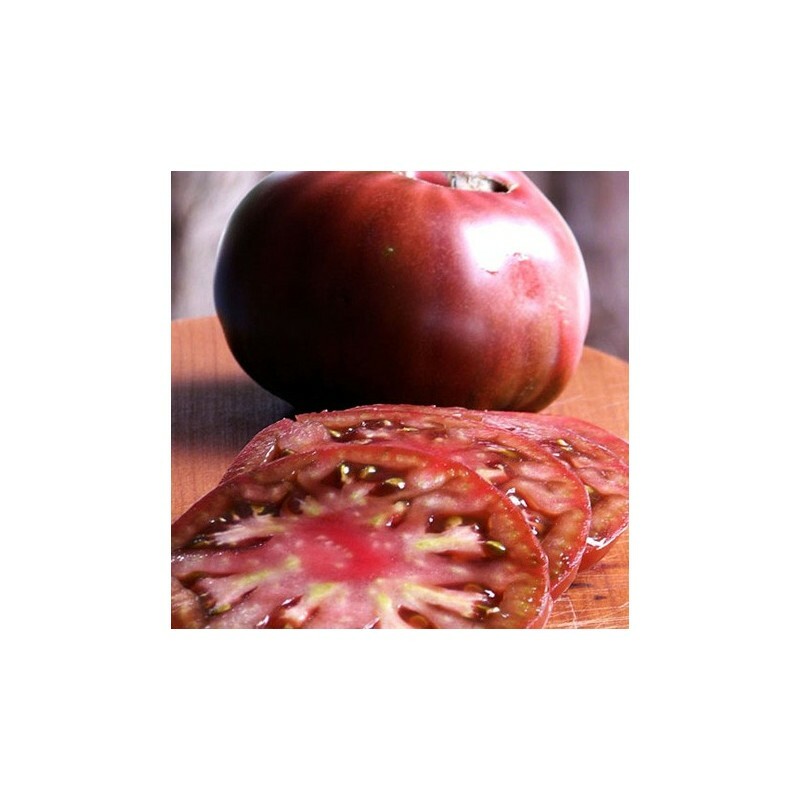 This variety is suitable for outside growing; but as it is a heirloom tomato, be prepared to harvest smaller number of fruits than from the hybrid varieties; this is generally true about beefsteak tomatoes; and Black Krim is a heirloom beefsteak type. Water the black krim plants every day in dry spells or even twice a day om the height of the summer and especially well when flowering and when the fruit is setting. Remove the side shoots of the plants during the entire growing season and stop them growing (pinch out the growing tip) when 5 trusses of fruits have set. 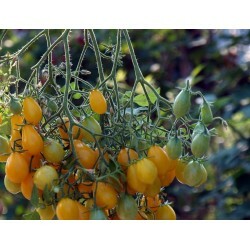 You can easily save your own tomato seeds, as most of our varieties are open pollinated. This means that you will get the same plant from the seeds you save; and if you do this for yeasr and years you will end up with a seed stock acclimatized for the local growing conditions. 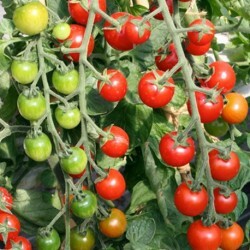 Just leave the fruits to ripen very well on the tomato plants. Put the tomatoes in an artight container to ferment, so you replicate what would happen in nature. After a few days just use a sieve, put the tomatoes under running water and wash out the tomato pulp and save your heirloom tomato seeds. This is how to save seeds, easy, very quick and saves you money in the long run.